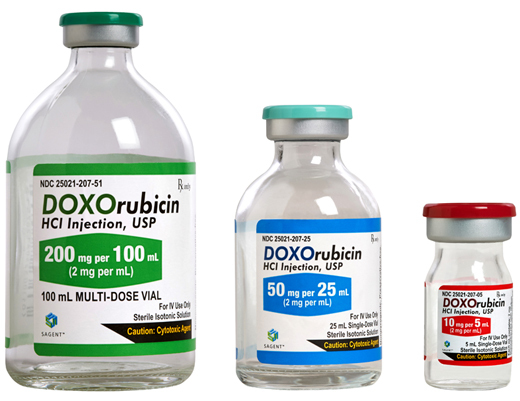 Please see full prescribing and safety information, including boxed warning, for DOXOrubicin vials. 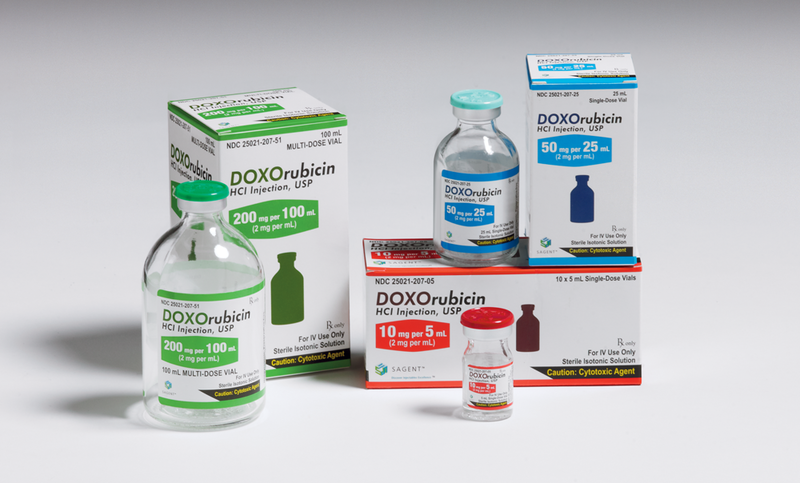 Cardiomyopathy: Myocardial damage, including acute left ventricular failure can occur with doxorubicin HCl. The risk of cardiomyopathy is proportional to the cumulative exposure with incidence rates from 1% to 20% for cumulative doses ranging from 300 mg/m2 to 500 mg/m2 when doxorubicin HCl is administered every 3 weeks. The risk of cardiomyopathy is further increased with concomitant cardiotoxic therapy. Assess LVEF before and regularly during and after treatment with doxorubicin HCl [see Warnings and Precautions (5.1)]. Secondary Malignancies: Secondary acute myelogenous leukemia (AML) and myelodysplastic syndrome (MDS) occur at a higher incidence in patients treated with anthracyclines, including doxorubicin HCl [see Warnings and Precautions (5.2)]. Extravasation and Tissue Necrosis: Extravasation of doxorubicin HCl can result in severe local tissue injury and necrosis requiring wide excision of the affected area and skin grafting. Immediately terminate the drug and apply ice to the affected area [see Warnings and Precautions (5.3)]. Severe myelosuppression resulting in serious infection, septic shock, requirement for transfusions, hospitalization, and death may occur [see Warnings and Precautions (5.4)].